Situated in the heart of the "Costa Daurada" in Catalonia, Cap Salou is a major touristic centre which is perfect for families as well as young people. The Catalan town has a great number of facilities for hosting tourists and for their comfort. 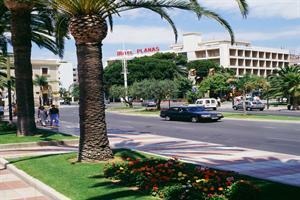 The name Salou evokes sunshine and relaxing holidays. For young people, Salou is also famous for its nightlife. Cap Salou is easily accessible from Reus airport and is closed to the famous Portaventura resort. 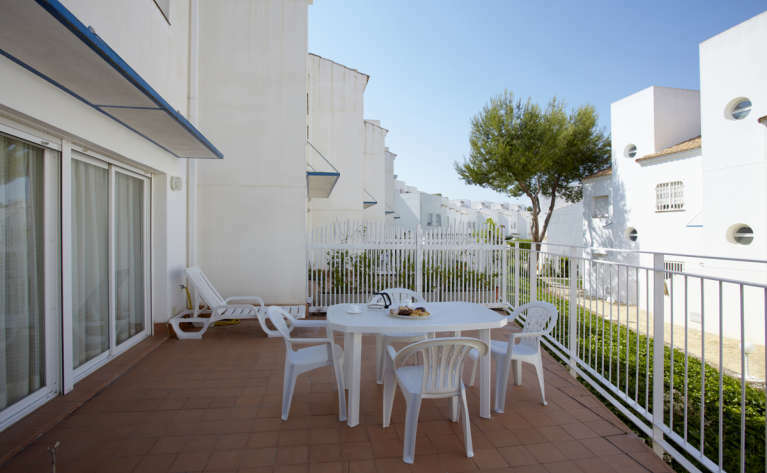 Complex located in quiet area of Cap Salou, between the resort of Salou and the town of La Pineda. 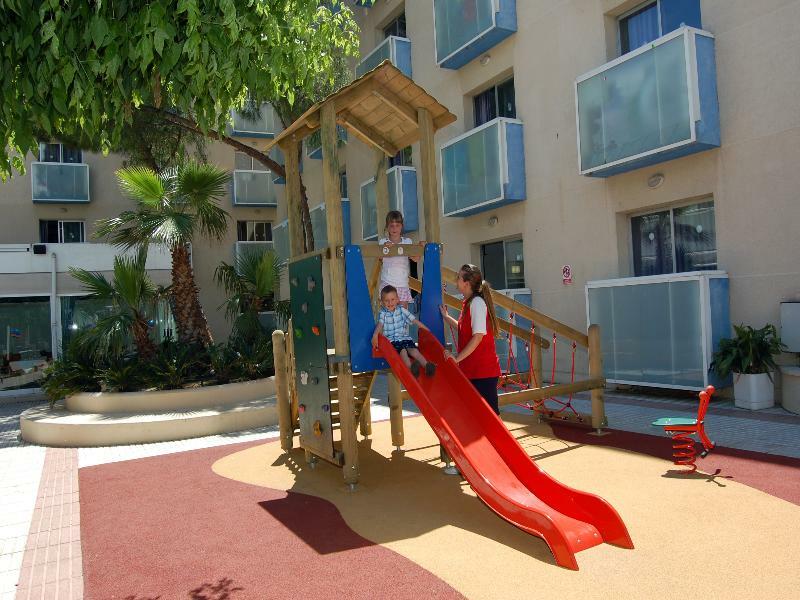 At the PLANAS HOTEL, you can enjoy a relaxing holiday while the children enjoy the hotel�s activities. Of particular note are the panoramic views of the port, of the promenade and of the garden. It's 100 rooms are the perfect place in which to relax after.. This hotel is conveniently located just outside the tourist centre of Salou. With its diverse shopping facilities and entertainment venues, it is situated approximately 500 metres from the property. The beach is 900 metres from the hotel and can easily.. 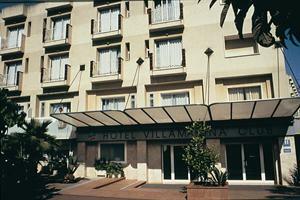 The VILLAMARINA CLUB HOTEL offers top-class attractions for travelling with children. Of particular note are the panoramic views of the swimming pool. It's 189 rooms offer customers a functional and pleasant environment. Back at the hotel, a swim in one.. The BEST SAN DIEGO is highly recommended for those who want the sea close-by and a comfortable setting. Of particular note are the panoramic views of the swimming pool. It's 262 rooms offer customers a functional and pleasant environment. Customers can.. 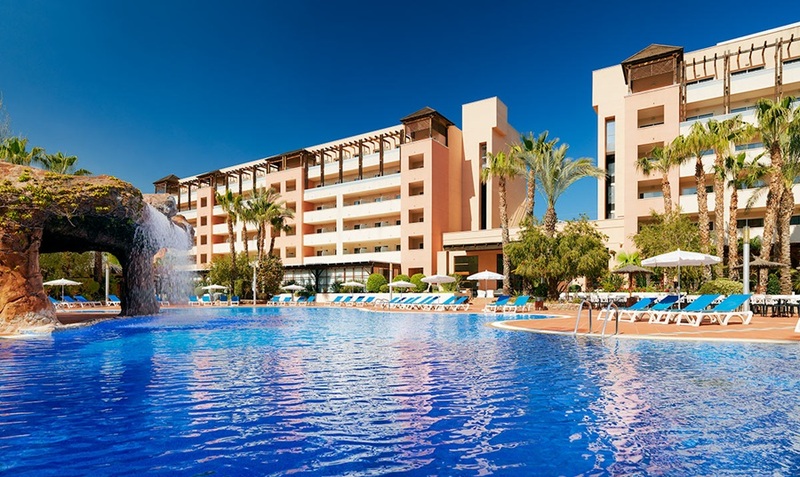 This superb beach hotel is situated at the pulsating heart of the vibrant tourist hub of Salou. The hotel enjoys an idyllic location in front of the beach and is just 300 metres away from the centre of Salou. Guests will find an abundance of charming.. This attractive hotel is located in the northern outskirts, right in the small bay of Cala de la Font. It is about 2 km to an abundance of shops and other entertainment venues. Guests are offered a large pool and garden area, a tasteful lobby with lifts.. This delightful hotel is situated at the heart of the bustling tourist resort of Salou. Guests will find themselves just 500 metres away from the sprawling sandy beach. 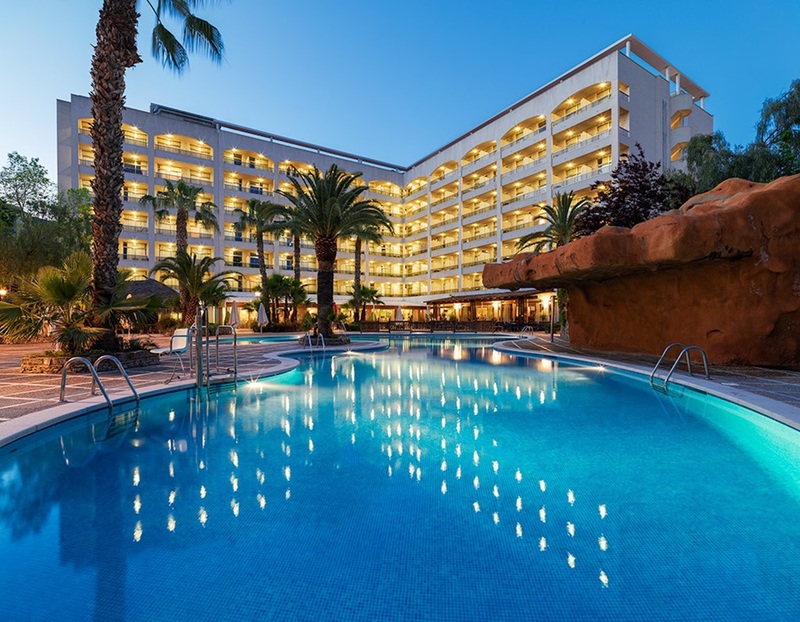 The hotel is located within easy access of a wide range of shopping opportunities,..
Just 800 metres from PortAventura and close to the beach and several golf courses, the H10 Salauris Palace is a modern hotel with all the services and facilities necessary for an unforgettable stay in Salou. The hotel includes a swimming pool with a waterfall.. The H10 Salou Princess is located next to the central Plaza de Europa, one of the city's main landmarks. The hotel's bright rooms, large pool with sun terrace and Jacuzzi, varied range of dining options and full programme of entertainment for adults and..